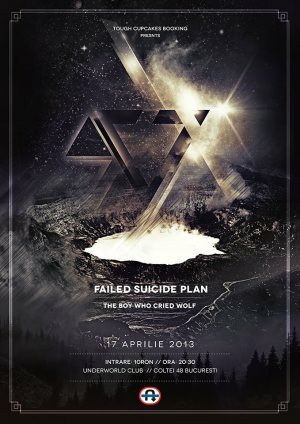 "Failed Suicide Plan / The Boy Who Cried Wold live" Concert in Bucharest. You can get here description, reviews, address, time and details of "Failed Suicide Plan / The Boy Who Cried Wold live" Concert in Bucharest. Visit Bucharest Tips for more Concert events in Bucharest!